The flight of the head of state aboard a MiG-29 fighter jet stirred an ambiguous reaction in social networks. The prime minister focused on resuscitation of river transport. PG Yuriy Lutsenko used his chance to remind of himself during parliamentary holidays. Former Georgian President Mikheil Saakashvili continues to promote his craving to defend his Ukrainian citizenship. 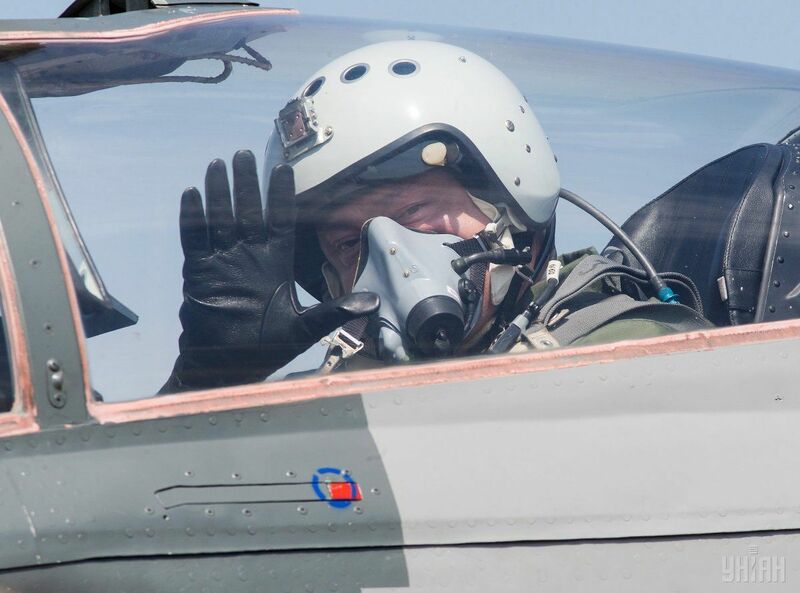 Petro Poroshenko flew from Kyiv to Vinnytsia not for the sake of entertainment, but in order to congratulate military pilots on Ukraine’s Air Force Day. The head of state stressed that more than a billion hryvnias was allocated to the needs of the Air Force in 2017 and announced the increase in salaries for the military serving at the front lines in Donbas. Although the abnormal heat somewhat reduced the intensity of militant attacks, the situation in eastern Ukraine remains tense and requires increased attention. That’s especially so in the context of the earlier announced meeting between U.S. Special Representative for Ukraine Kurt Volker and Putin's high-ranking aide Vladislav Surkov. Comparing Poroshenko with Putin in terms of flying a fighter jet does not seem to be entirely correct, as the Ukrainian and Russian presidents are in no way the first country leaders in world history to show off their will to conquer the sky in a warplane. It is much more interesting to note that the Ukrainian president became the headliner of the celebration of the second anniversary of the establishment of Ukraine’s National Police, putting aside both Minister of Interior Arsen Avakov and National Police chief Serhiy Knyazev. The President expressed confidence that there has been an actual turning point in fighting crime, as evidenced by the reduction in the number of grave crimes recorded. Meanwhile, the major figure of police reform at its initial stage, Khatiya Dekanoidze, was recalled only in the context of her regaining Georgian citizenship after leaving Ukraine. Volodymyr Groysman paid special attention to the reanimation of river transport in Ukraine, commenting on a trip of a barge with watermelons from Kherson to Kyiv. The issue is actually a really important one, since navigation along the Dnipro has been in decline, and this is how Ukraine’s main water artery differs from other European rivers. In addition, the head of the government promised not to allow deputies to water down pension and healthcare reforms, and called for the attraction of low-cost air carriers to Ukraine. The transport sector during the political off-season attracts much more attention. In this context, interesting is the statement of Infrastructure Minister Volodymyr Omelyan about the court's repeal of the decision to re-subordinate Ukrzaliznytsia to the Cabinet of Ministers. The ruling may become decisive in the protracted conflict between the minister with Ukrainian Railways CEO Wojciech Balczun, whose contract the prosecutor general does not recommend that the government extend. The PGO also says Finance Minister Oleksandr Danyliuk could be accused of tax evasion, which can hardly be called a sign of the official’s professional competence. 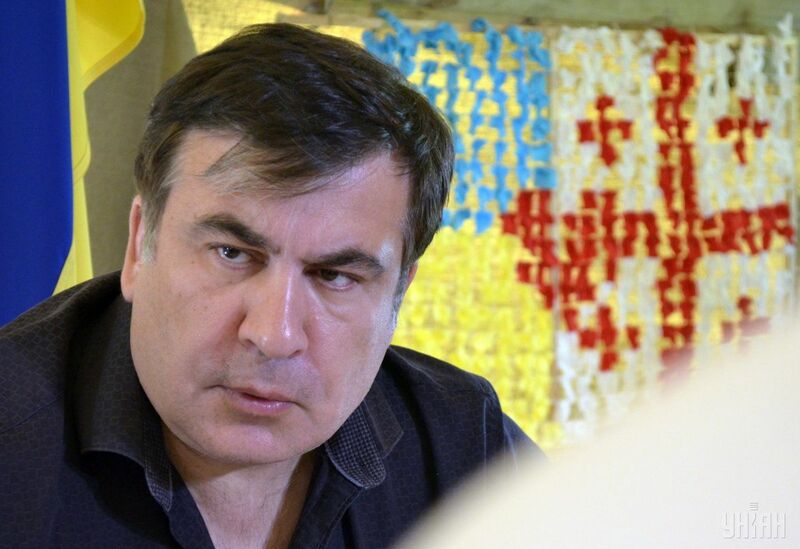 Mikheil Saakashvili continued his struggle to regain Ukrainian citizenship. It’s not yet at the Court of Appeal, where he promised to challenge the loss of his trident-engraved passport, but through public statements. After promising via Skype to return to Ukraine from the U.S., Mr Saakashvili stopped by in Poland for the time being, taking part in the events dedicated to the anniversary of the Warsaw Uprising. Saakashvili keeps producing loud statements, but it's time to work on a constructive component of his agenda – it will not be easy to maintain media attention for long, based on sole emotional criticism of the Ukrainian authorities.